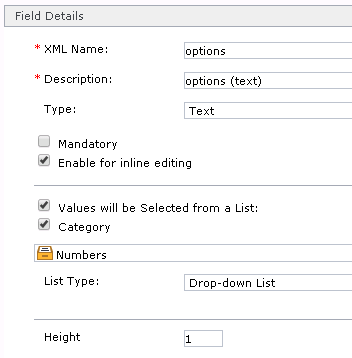 In 2011 I mentioned you can change how a Schema text field displays. I had the chance to test one type of change from a plain text field to a text field with values selected from a Category. If you find a text field has the same set of options used several times, you may want to change it from an unmanaged text field to a field based on a managed list of elements. 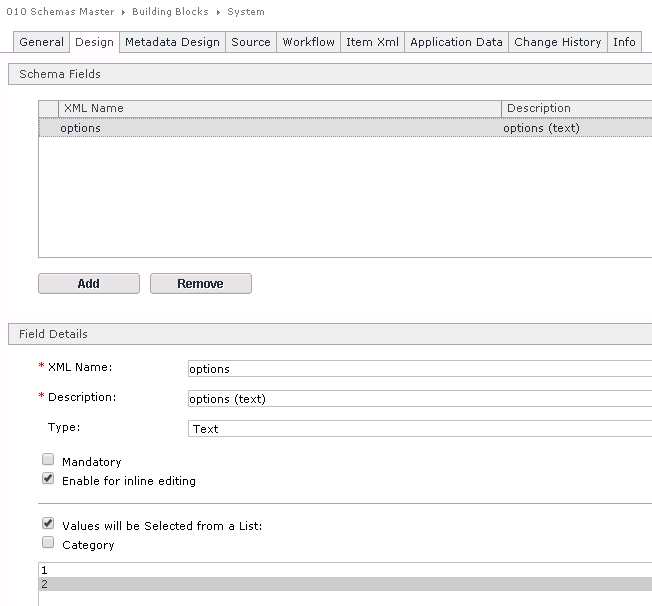 Schema defines the list: if you want control of the order of the field options and the options do not need translation, consider placing the options in the Schema directly. 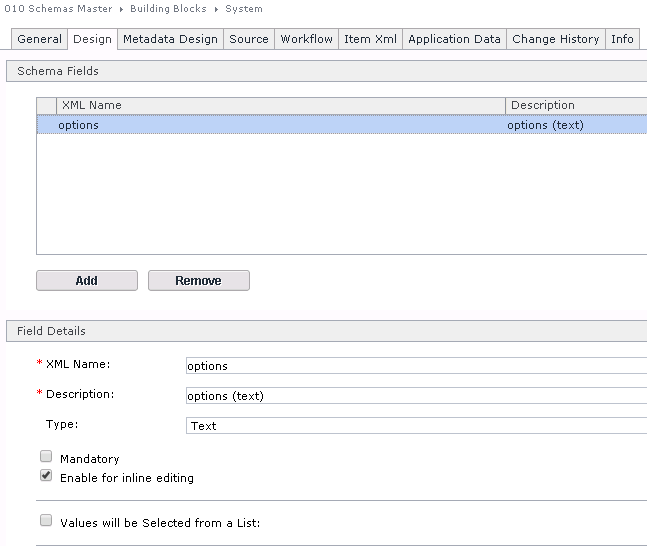 Optionally use an Embedded Field to manage the same list everywhere its needed. Category defines the list. if you want editors to have the ability to bulk apply and search for items tagged with the option as well as for dynamic website functionality along with translation of the options, use a Category and its Keywords instead instead. The XML Name really should be "option." The "1" is in the original plain text field, not managed by a list. 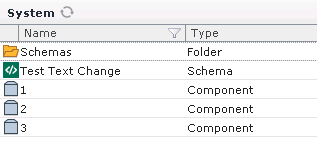 Changing to a managed list (either in the schema field or with a Category) has nearly the same results to CMS editors. The Component form looks the same for either change. This invalid option could cause issues with templating or any Web application-side logic that relies on the Categories. I did not confirm if there's a difference between the stored and presented value, you may want to further test your scenario and confirm any impact to Core Service functionality. Recommended Approach for Changing a Schema Field from Plain Text to a "Managed List"
In summary, the content structure does not change when changing the options. You'll want to match all the existing text values with a new managed list, otherwise you risk data lose (more so when the list of options is managed in the Schema). Regardless, you'll want to synchronize your changes. Include all the current options for a given environment and the others. For example, the Production CMS may have a different set of text settings than Development or Test. Consider the BluePrint -- are there options in lower Publications in local Keywords? Finally, be aware of what the options imply. Adding a mandatory field means you now need mandatory fields. Changing from checkboxes to a radio button means you can only have one (mandatory) value for the field.